Lewis is an Xbox, Forza and Saab fan, so naturally he was quick to download the new special pack that includes the Saab 99 Turbo. 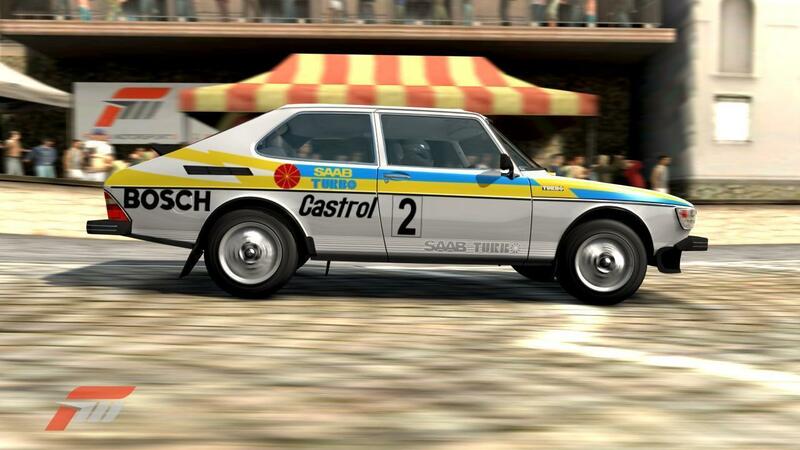 He’s also been applying some custom rally livery in the classic Saab fashion…..
I’m not an online gamer, so I don’t know exactly how these things work, but apparently you can get hold of Lewis’ work at his Forza storefront (you can look it up under lwslade). You can also see video of the Saab 99T in Forza. Great work. I started a similar work yesterday! I want saab back in Forza games.